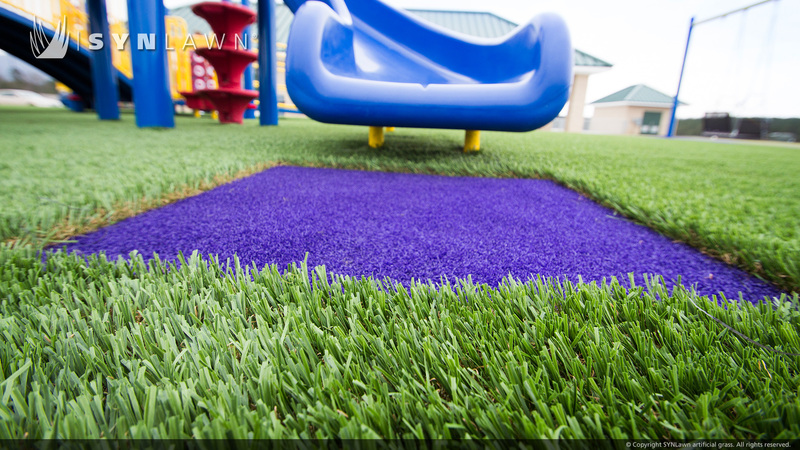 New playground features SYNLawn synthetic turf with recycled padding for safety and durability. The Peeples family name is as widely recognized in the state of Georgia as their family owned company, SYNLawn, is recognized around the world as the leader in synthetic turf products. And, on March 12, 2016, both the Peeples name and SYNLawn turf became the building block for Murray County, Georgia’s youth to exercise their bodies and imagination with the dedication of a new playground at the Veterans Memorial Park Recreation Center. With family roots that date back to the 1600s in Murray County and the town of Dalton, Georgia, home of SYNLawn’s corporate headquarters and manufacturing facility, the Peeples have contributed as much to the economy through their businesses as they have to the culture of the community through their philanthropic efforts. During the construction of the park, the Peeples family in conjunction with SYNLawn donated playground equipment as well as the artificial play surface with recycled foam panels under the turf allowing children to play safe without fear of falling. The SYNLawn experts also volunteered their time to properly install the synthetic turf to meet ASTM F1292 test requirement for fall safety and ADA compliance. SYNLawn is a member of the International Play Equipment Manufacturers Association (IPEMA). Properly installed SYNLawn turf products and under padding have been certified by the IPEMA, for falls up to 10 feet in height and is one of the few playground surfaces that provides consistent safety standards in high traffic areas, in any weather, at any height, and under all types of play equipment. All this plus the look of beautiful green grass. 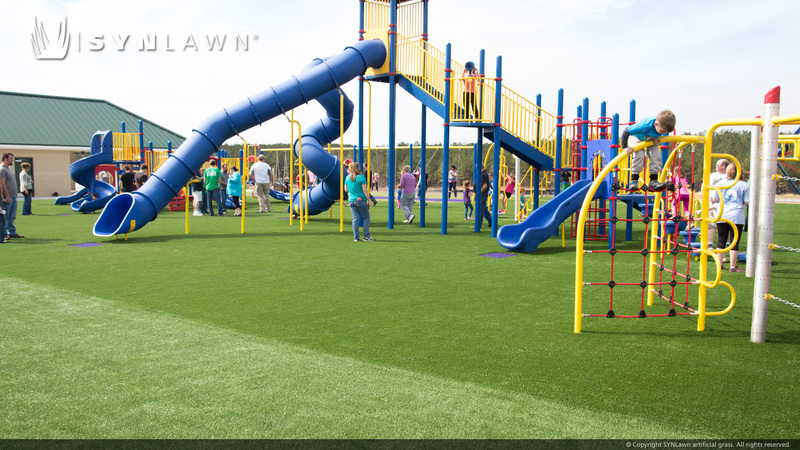 The advantages of SYNLawn is that it is non-abrasive, non-allergenic, stable in all climates, has superior drainage--even after a heavy rain, and trampleZones can be replaced without replacing the entire playground. For more information on SYNLawn products, playground applications, and the environmental advantages of SYNLawn, visit us on the web at SYNLawn. Please direct questions about this press release or SYNLawn products to Michelle Balicki, Marketing Manager 702-354-5051 or mbalicki(at)synlawn(dot)com.